Since the incredibly popular Norwegian song that lit up everyone's computer screens in 2013 asked the question, it's become a bit of a constant mystery of life: What does the fox say, indeed? One Michigan couple may have found the answer, and it's pretty hilarious. 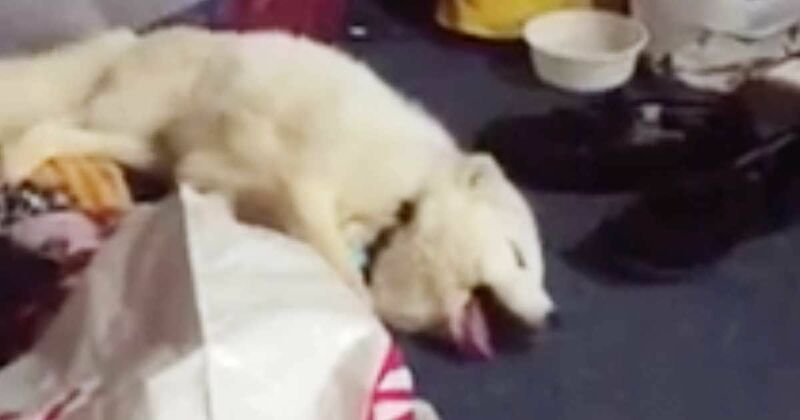 The video below, taken by Kristina Shafer and Kyle Infante, features an adorable Arctic fox displaying a remarkably human cry. Archer the fox seems capable of laughter, almost like human beings – and he does it when triggered by someone else's laughter. "Archer usually starts giggling whenever my boyfriend laughs," Shafer told ABC News. Shafer adds Archer most frequently starts laughing at the end of the day, when he's tired – a strangely relatable quirk. "He's a very vocal, very loving, very happy fox," Shafer tells ABC News. "He also does some happy 'screams' and he honestly sounds like a monkey sometimes. He also does a howl whenever he's out in the yard and wants attention or wants to come inside." Raising an Arctic fox has not been the easiest task, Shafer says, as he is a little slow to learn most commands and requires "a lot of dedication in terms of training." That said, his happy demeanor makes it all worth the effort. Regardless, it appears 4-year-old Archer has given the world the answer it was looking for all this time. Foxes laugh. Make sure to share this sweet video with your friends on Facebook!